Of course there is much more to the majestic though compact city of Durham than its Norman architecture. Quirky shops, pubs and cosy tearooms line the cobbled streets of this university hub, living museums are awash with industrial heritage and you are never far from the tree lined banks of the River Wear. On a fine day, grab a picnic lunch to enjoy on the riverbank while watching rowing boats glide along or enjoy a leisurely cruise on the river. 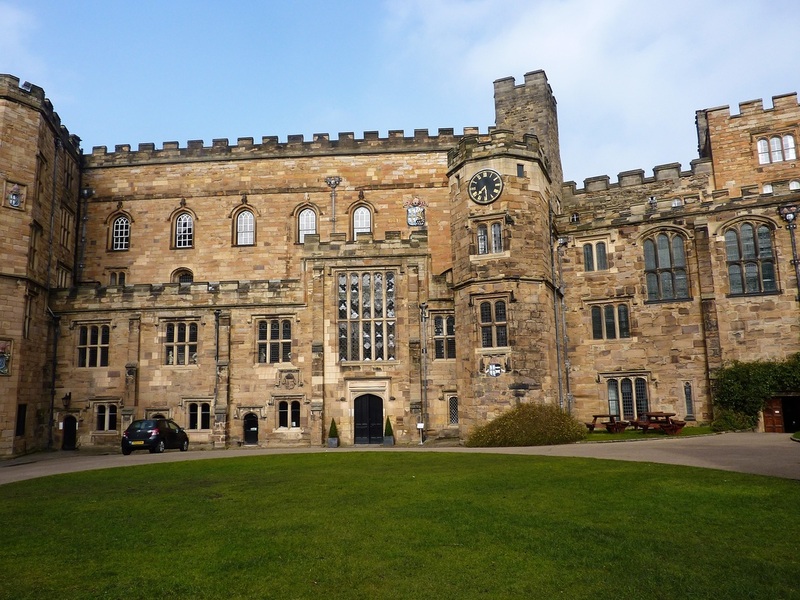 Durham is a friendly place, worth visiting – there are numerous attractions, but it is more the overall atmosphere that charms, enhanced by the scattering of bridges and twinkling river that carves its way round the city. ​Durham’s heart is its marketplace, flanked by the Guildhall and St Nicholas Church. In the indoor market, freemen of the city including Bill Bryson, Bishop Desmond Tutu and Bobby Robson, are forever remembered by way of name plaques which hang in the oak panelled hall of fame, somewhat bizarrely above the fish counter. Also in the centre of town is Crook Hall and its glorious six-acre walled gardens, one of Durham's oldest inhabited houses. This magical 13th century Grade 1 listed hall is said to be haunted by the niece of fiery tempered Cuthbert Billingham, one time owner, who in a huff once cut off the town’s water supply and redirected it to service his own mill. Often overlooked by visitors is the Town Hall in Market Place. Although primarily a working building visitors can pre book tours to see its dramatic Main Hall with glorious stained glass windows and hammer beam oak roof. Meanwhile, the building’s Crush Hall contains artifacts belonging to diminutive Polish Count Boruwlaski, who was only 39 inches (99cm) tall. He died in 1837 aged 98 years. A Durham resident for 47 years, he was so well loved by locals that he was granted a burial in the Cathedral where his grave is marked by a tiny stone slab and reads ‘JB’. ​But of course at the city’s heart are Durham Cathedral with its Romanesque architecture and 11th century Durham Castle built by William the Conqueror. This UNESCO World Heritage Site, one of the first to be designated in the UK, looms proud above the city on a wooded peninsula. 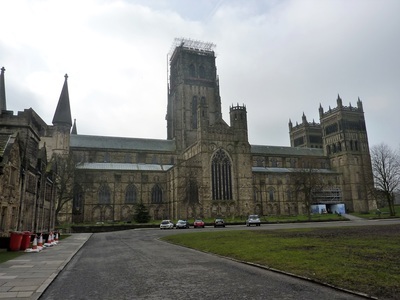 ​Durham Cathedral has been a place of worship, welcome and hospitality for almost a millennium. It was founded to house the shrine of St Cuthbert, the Northeast’s most venerated saint and is also the resting place of multi talented Venerable Bede - a theologian, historian, poet, biographer, scientist and author of many commentaries on the Bible. Highlights include the twelfth-century Galilee Chapel with its original medieval wall paintings, towering sandstone pillars in the Nave, the font with its marble bowl dating to 1663 and the Rose Window in the Chapel of the Nine Altars. Don’t miss the medieval cloister and Chapter House either, which featured in the first two Harry Potter films, or the Western Undercroft, which is where to find the Cathedral Shop, Undercroft Restaurant and a fabulous LEGO model of the Cathedral. Probably the building’s most famous curiosity is a colourful medieval clock. The strait-laced Victorians removed it in 1845 because it was considered too frivolous to be displayed somewhere as magnificent as a cathedral but it was reinstated in 1938. Meanwhile, visitors with plenty of puff can climb the Tower's 325 steps for spectacular views of the city and countryside beyond. ​Durham Castle, built in 1072 by William the Conqueror to defend the peninsula was once the base of the mighty prince bishops. 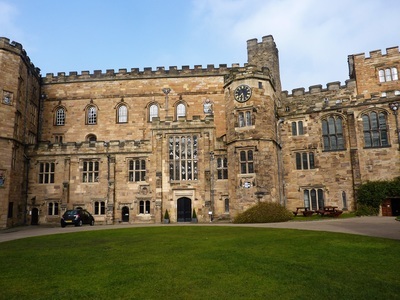 Now it is home to students of University College, part of Durham University and England’s third-oldest seat of learning after Oxford and Cambridge. During term time, students act as guides for visitors. In this labyrinth of halls and galleries visitors can see the ‘drunken’ oak staircase, originally designed as a flying staircase which meant it would have had no vertical supports. Each step was embedded into the wall, weight deflected from top to bottom. Unfortunately, the builders miscalculated and the staircase began to lean soon after its construction. The city’s oldest building is the Norman Chapel constructed around 1080, one of the Castle’s most important spaces featuring superb carvings. Full of history and splendid architecture though undeniably modern, Durham is a city that is definitely worth exploring.